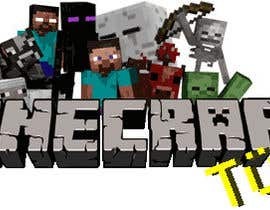 We are looking for a clean and handsome logo to show off on our header at minecraftturk.com. It is a gaming forum about the game Minecraft. -DO NOT use a template for this contest. The design must be originally yours. -Your design should consist of both the text "minecraftturk" and a recognizable symbol by itself for single use. -You should be able to provide both AI and PSD formats if you are awarded for your entry. -Try to keep it proffesional. -Add your logo with both White & Black background. - I've added our previous logos as attached files. You can improve these or use them as guides for your own design. Winner may be contacted for future design works. I've added our previous logos as attached files. You can improve these or use them as guides for your own design. Good luck to all participants. Could you make the contest guaranteed?Thank you. The contest is now guaranteed. Looking forward to seeing your design. We don't want any of the game characters in the logo. It will be used on multiple websites so it must be more clean and serious. Also please avoid using Minecraft's original logo. Good Luck to all future participants! I can have this done by next ween Thursday, I was wondering though, is there a specific minecraft character you'd prefer on it? Like a creeper, or a person of yours or even an animal that needs to be on it?